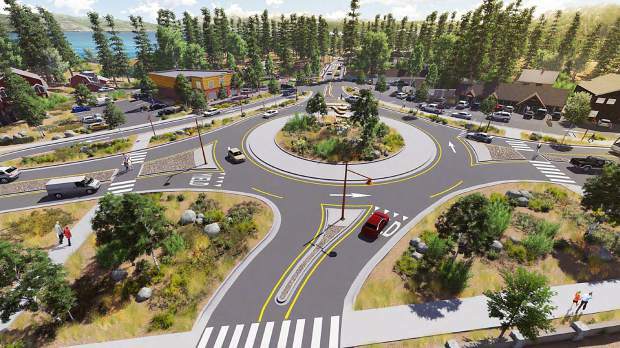 This schematic shows a simulation of what the roundabout would look like at the "Wye" in Tahoe City. Residents can visit www.FannyBridge.org to read more about the project, officially known as the SR 89/Fanny Bridge Community Revitalization Project. 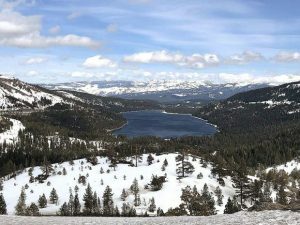 TAHOE CITY, Calif. — Tree removal will take place this week as part of the multimillion-dollar Fanny Bridge overhaul project in Tahoe City. 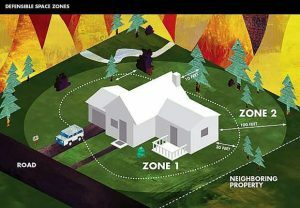 According to a news release over the weekend from the Tahoe Transportation District, tree removal will take place at the following times: 8 a.m. to 4:30 p.m. Monday-Thursday (Dec. 5-8); and 8 a.m. to 1 p.m. Friday, Dec. 9. • Along Highway 89 heading into Tahoe City from Truckee (near the Caltrans Yard). • At the Tahoe City “Wye. • South of Fanny Bridge along West Lake Boulevard/Highway 89. In early October, the TTD announced that Martin Brothers Construction was awarded the $30.1 million construction contract for both the Fanny Bridge and Dollar Creek Shared-Use Trail projects. According to TTD, project benefits include improvement of pedestrian and cyclist safety in and around the Tahoe City “Wye,” at the highways 28/89 intersection; replacement of the aging 88-year-old Fanny Bridge; upgrades to the existing 40-plus-year-old sewer pipe line from Tahoe City to Truckee; and implementation of new sidewalks, street lamps and aesthetic treatments, among others.